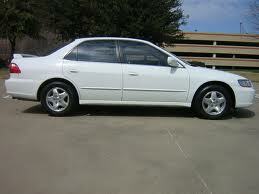 Zach’s car is an old white Honda Accord named Betty White. 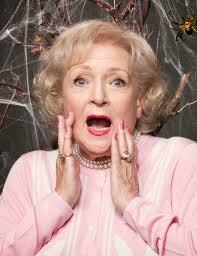 Also Not Zach’s Betty White. This one is too pretty. She’s been a pretty reliable vehicle but Wednesday Betty White (the car) injured a foot and briefly had to wear an ugly old spare shoe. Yesterday we replaced a couple of Betty White’s shoes and arranged to get an estimate on aligning her front end. I know my front end could use an alignment, so in car years Betty White must be way overdue. This morning we will receive the good? (bad?) news regarding her front end. There is no public transportation in my neighborhood. I have mixed feelings about that. I would love to spare myself the task and expense of filling Bruhonda’s fuel tank. I would love to spare Mother Earth a bit of exhaust. I would love to avoid the maintenance we have on three vehicles. I would probably miss the bus more often than not. I have serious punctuality issues. With that in mind I will continue to drive Bruhonda until his little doors fall off and hope that efficiency increases greatly before I buy another or go planet hopping. I have the weekend planned with sewing, knitting, movie-going, Downton Abbey and sleep, lots of sleep. If all goes well Monday will see me rested, entertained, and my cupboards stocked with a few new items for the Etsy store. The best laid plans of mice and men…. Do mice really make plans? Or are they spontaneous in their actions? Hmmmm. Now there’s a point to ponder this weekend. I guess I could confer with the little mice families in the barn. I don’t speak mouse though. Except for ‘eke, eke, eke’. Doubt we’d get far with that. So here’s to a happy weekend for all, including the barn mice and Betty White and you, dear reader, especially you. Weekends rock,especially ones with an extra day. MLK day on Monday, don’t hafta to go to work anywhere. Uh Oh….I so bad. Also spelled Betty with 3 t’s. It was late.